Sen. Elizabeth Warren, who has faced repeated ridicule from President Donald Trump over her claims that she has Native American ancestry, has released a DNA test that says there is "strong evidence" that she is of Native American descent. The Massachusetts Democrat's release of the test highlights how prepared she is to take on Trump — who has repeatedly referred to her as "Pocahontas" — over his insults and indicates she is working to shore up possible political weaknesses, ahead of a possible 2020 presidential run, by addressing her family background and charges she misrepresented it to gain unfair advantage in her career. 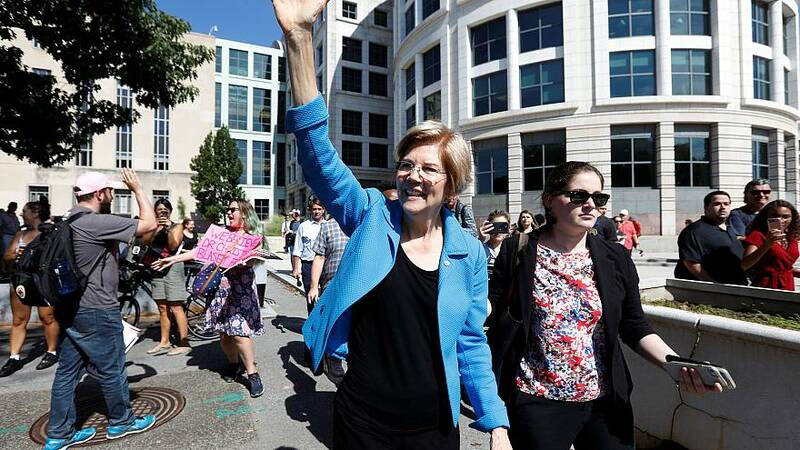 The release of Warren's DNA test was first reported by The Boston Globe,which obtained news of the results before they were released by the senator. Warren also released a video along with the results that not only seeks to address head-on the single biggest attack from Republican critics, but offers the intensely personal Warren a platform to introduce herself to a larger audience. Warren faced similar attacks about her heritage during her 2012 Senate race against Republican Scott Brown. Brown claimed she had dishonestly listed herself as Native American while working as a faculty member at the University of Pennsylvania and Harvard to help her career. Warren denied the charges at the time.